On 18 November 2014, the Centre was pleased to welcome Esther Meijers (University of Reading) to discuss ‘William Carstares in the Netherlands: The Making of a Moderate Mind’. This continued the ‘Scotland and Europe’ series. Below is this listener’s brief summary of the lecture. William Carstares (1649-1715) was the most prominent clergyman and politician in late-seventeenth and early-eighteenth century Scotland, acting as the chief adviser to William III (William of Orange). Born in Cathcart near Glasgow, Carstares sprang from Covenanter stock (his father John was a deprived minister), and he went on to be educated in theology at the University of St Andrews. From there he traveled to the Netherlands and studied at the University of Utrecht. A lively theological debate was taking place in the United Provinces, centering on conservative Utrecht and progressive Leiden. The Dutch looked to the Scots as paragons of the reformed church in Europe, yet Carstares himself was influenced by the Dutch outlook–he was rather enamoured with their inclusive national church. 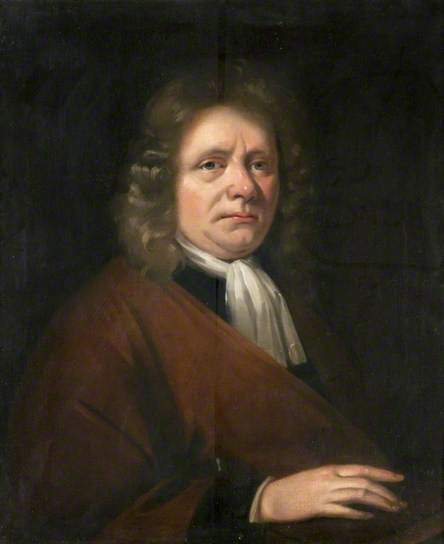 At this stage in his life in the 1670s, there was little remarkable about Carstares, and certainly nothing to indicate he was to be a future father of religious moderation. The ‘big change’ came with the Restoration and his involvement in radical Presbyterian resistance, which resulted in his torture with thumbscrews (some of his later portraits had him holding up his thumbs to emphasise what he had suffered for his beliefs). After William III overthrew James VII and II, Carstares was appointed William’s chief adviser, especially when it came to Scottish affairs. Carstares pursued a policy of moderation, acceptable to all but the staunchest of Presbyterians. Arguably the architect of moderate Presbyterianism, he always ‘kept the door open’ for a future union with Episcopalians. The Restoration had seen the persecution of Scottish Covenanters and the number of ministers in Scotland had dwindled as a result. Carstares was deeply concerned about the future survival of the Reformed church, and this led him to invite Dutch theologians, ‘men of good learning’, to fill the empty places in Scotland. His ‘great reform’ of the University of Edinburgh, following his appointment as Principal in 1703, greatly improved the status of theological studies in Scotland and transformed Edinburgh into a more civic and cosmopolitan university. Dr Meijers commented that this reform can be regarded as the high-point of Carstares’ career, and the Dutch influence is plain to see. Refreshingly, Dr Meijers did not proclaim Carstares to be a ‘great thinker’ in the mould of Locke, or to be as devout a Presbyterian as Archibald Campbell, but instead he was a pragmatic, effective politician who championed an inclusive form of religious practice. Next week, 25 November, Alan McNiven will present a seminar organised in conjunction with Onomastication, the onomastics reading group. Title to be confirmed. This will be held in Room 202, 3 University Gardens at 5.30pm. All welcome.